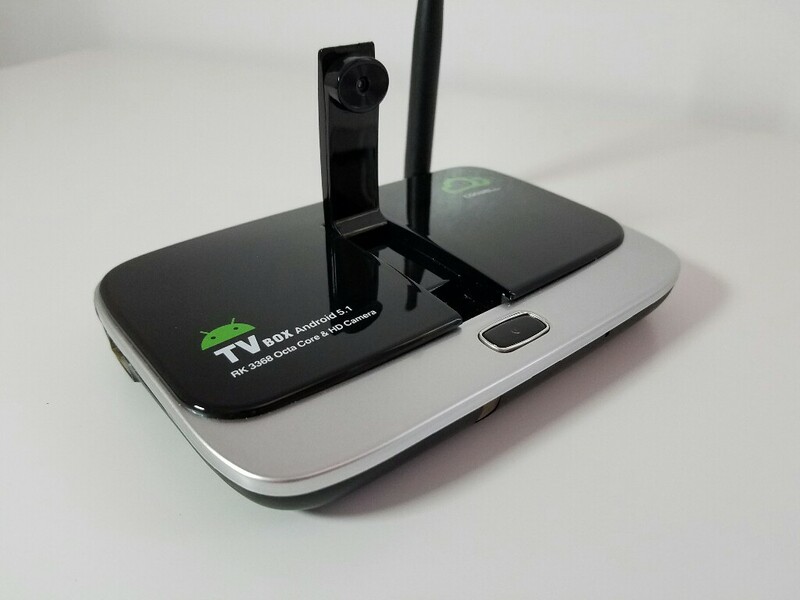 The Coowell V4 is a new Android TV Box that has a retractable camera, a Octa-core RK3368 processor, 2GB Ram and 16GB of internal storage and running Android 5.1. The Coowell V4 looks different than most tv boxes due to the small form factor and that unusual camera. The camera can be used for video calling for apps like Skype. We also have a microphone on the box, but you need to be rather close to it in order for the people that you are talking to to hear well. 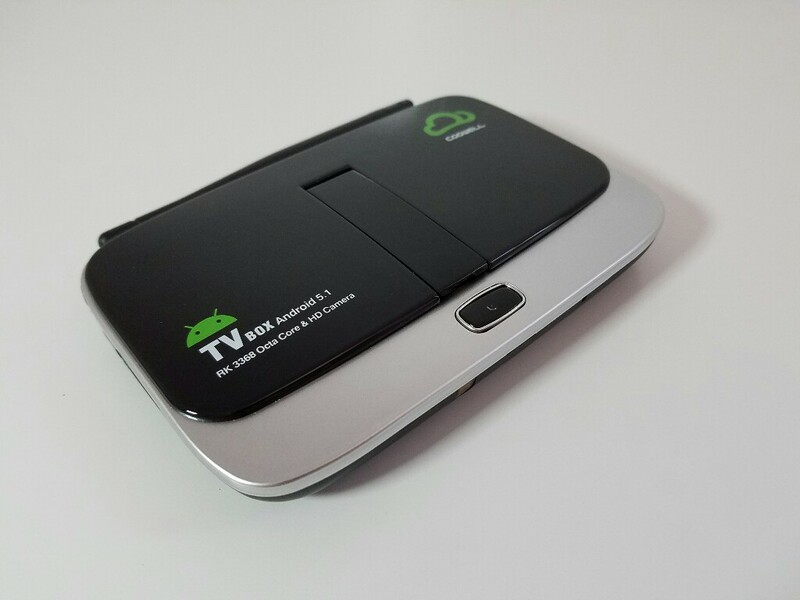 Another nice thing about this TV Box is the fact that it has a power on – off button, something that it’s rather rare. Turning on the Coowell V4 we find a rather simple launcher that doesn’t have too many options. It it fairly easy to install a new launcher if you are looking for more customization. Most video files that i’ve tried worked well and this was in line with other TV boxes that have the same RK3368 processor. You can check out the review video below for more information regarding the internal memory speed, and a few benchmark scores. Another thing worth mentioning it, is the fact that the HDMI port on the back of the box is small than normal and that the box comes with a special HDMI cable. 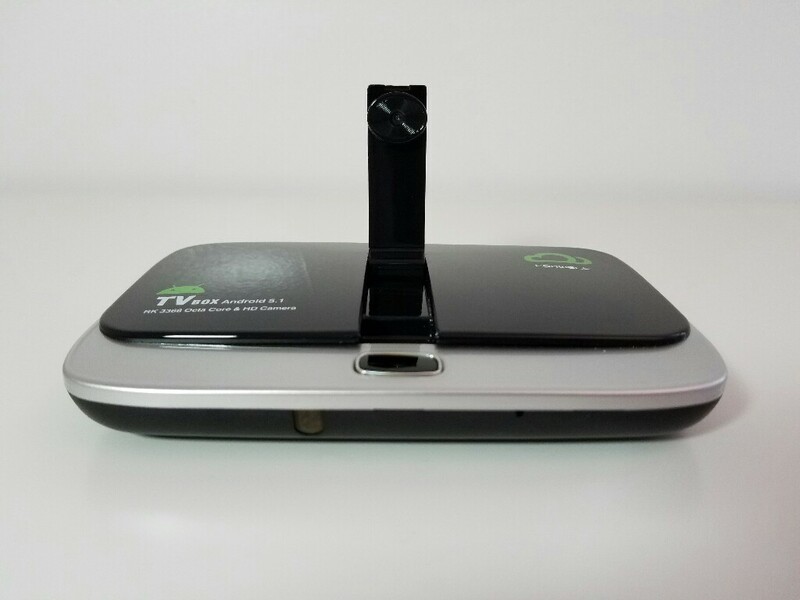 Check out the review video below for more detailed information about the Coowell V4 TV Box.